Hello! My name is Sierra Green and I would like to go on my first mission trip! 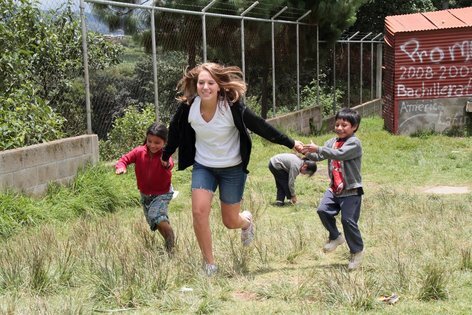 I would like to go on a GLA (Global Leadership Adventures) trip to Guatemala, where I will be volunteering to help the children of Maya. 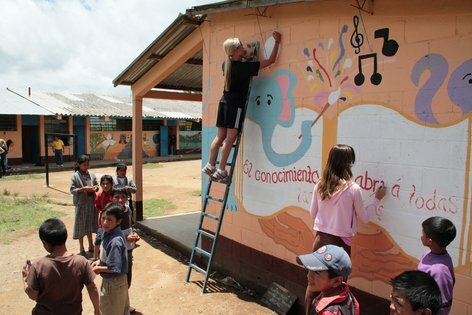 It is a fourteen day program that focuses on volunteer service at a local Mayan school. 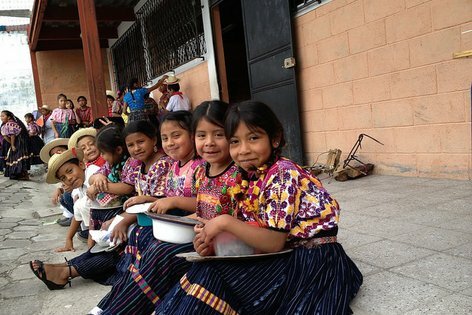 The school is run by Maya teachers and encourages the indigenous language and culture; I will be building/refurbishing classrooms, teaching basic conversational English, and playing games with the Mayan children at recess. We will also be learning about immigration issues the youth faces today and how the Mayans’ preserve their culture in the rapidly growing world today. In total, the trip will cost around $5000. 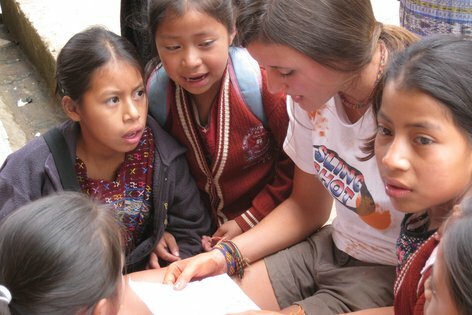 This includes the total cost of the trip, airfare, supplies, vaccinations, etc.- By this time you are probably wondering “why would she want to go on this trip?” well, I will tell you, that I’m completely and totally passionate about volunteering. I have volunteered before and I fell in love with it. I will honestly continue to volunteer for the rest of my life. 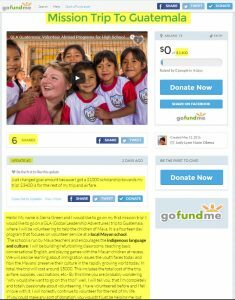 If you could make any sort of donation, you wouldn’t just be helping me, but the Mayan children as well. My mom is also single parent and will not be able to afford any part of the trip. I have am a honor student and is currently beingnominated for the NJHS (National Jounior Honor Society). GLA is theJunior Peace Corps. I would like to go into the Peace Corps after I graduate high school. So once again, I will appreciate anything that you can do. 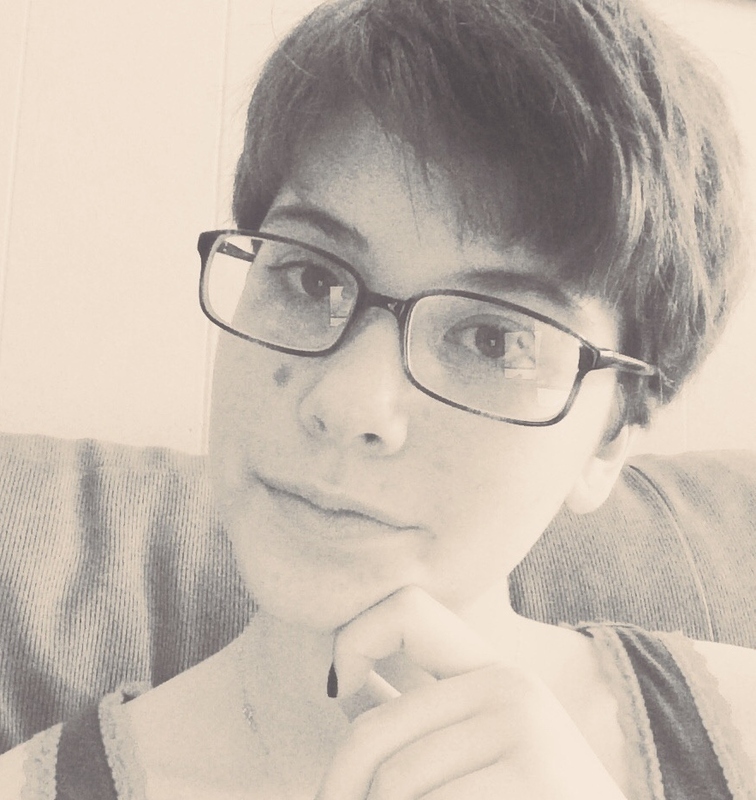 Here is also a photo of me (Sierra). Thank you soo much! Remember please donate anything you can! God Bless!